Chinese President Xi Jinping has announced that the 2.3 million strong People's Liberation Army, the world's largest, will be cut by three lakh troops. Xi made the announced while speaking at the victory parade being held to commemorate 70th anniversary of the victory against Japan in the World War II. This is part of efforts by the PLA which operates with annual defence budget of USD 145 bullion, the second highest after US to streamline its force as it launched unprecedented modernisation with new weapons and technology. The People's Liberation Army (PLA) which was 4.5 million strong till 1980 was first resized to three million in 1985 and later to 2.3 million. 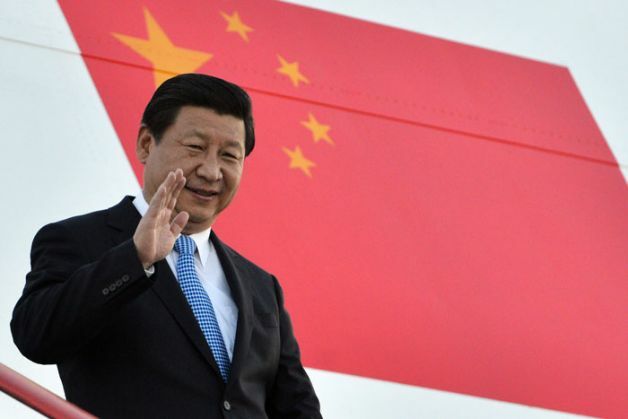 The cut of three lakh troops comes in the back drop of massive anti corruption drive being conducted by Xi who, beside being the President, is also the chief of the ruling Communist Party of China (CPC) and the head of the military. About 40 high ranking military officials including two former Vice Chairmen of the Central Military Commission (CMC) are facing anti-corruption probes in an unprecedented revamping of the army. After taking over in 2013, Xi placed more emphasis on practical training involving live firing drills and want the army to be ready to win wars as it acquired latest weaponry including long range missiles, new generation of aircraft, aircraft carriers as well as ground weapons. The revamping of the military also comes as China is locked in a major stand off over maritime disputes in South China Sea with several East Asian countries who are backed by the US as well as in the East China Sea with Japan. On the ground China is locked in a border dispute with India and Bhutan even though it settled border issues with the 12 other countries.